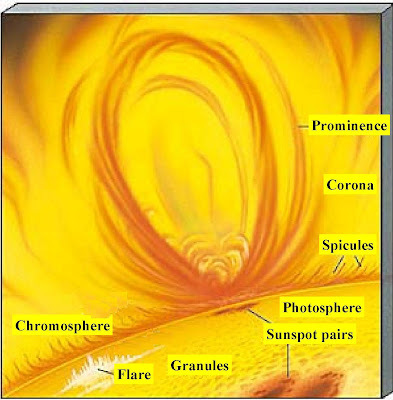 Corona and chromosphere only can be seen during solar eclipse. 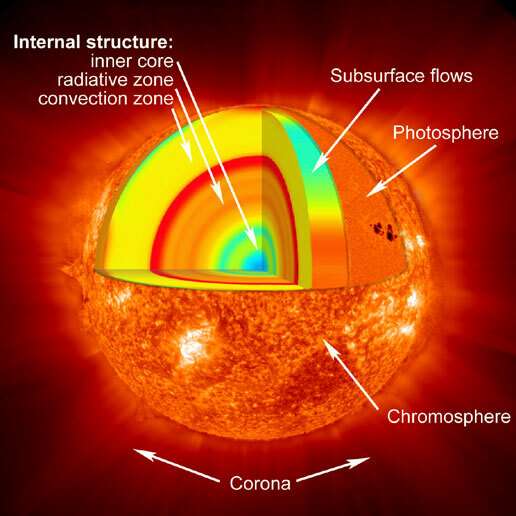 The core of the sun is a place where hydrogen atoms fuse together to form helium atoms. Nuclear fusion reaction occurs. Sunspots can cause extreme drought in the Earth.